Can you imagine a person without eyelashes? Have you ever met one? The probability is low because you don’t really give it much attention as you would to other physical attributes of an individual. The Best Eyelash Serums. Even when you look into the eyes of another person, you hardly notice the eyelashes. So, this begs the question: should you care for your eyelashes? The answer is—yes, you most definitely should. You see, eyelashes aren’t just there to emphasize beauty. It protects your eyes from debris. Moreover, they act as cats’ whiskers. They’re sensitive to touch. So, if there’s a foreign object near your eyes, the eyelashes pick up its presence, and as a reflex action, you close your eyes shut. Eyelashes aren’t as voluminous as hair and aren’t paid much attention by many people, but their contributions are as important as other bodyparts. With that said, here’s how you can care for them with an eyelash serum. Given below are 10 eyelash serums that’ll help you do just that. 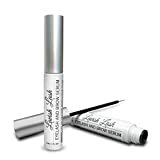 You can get thicker and longer eyelashes with Grandelash-MD eyelash serum. The reason is fairly obvious: it’s a cocktail of vitamins, amino acids, peptides, and conditioning elements. You eyes will undoubtedly look fuller and healthy, not to mention stunning. This award-winning eyelash serum is known to produce quick results within 4 weeks. For more results, you’ll have to use it for atleast 3 months. The bottle contains 2 ml of the serum which is enough to last for weeks. You’ll have to rinse your face, pat dry your eyes, and apply the serum before hitting the sack. Don’t be mistaken. 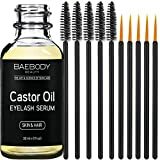 This castor oil by Baebody Beauty is, in fact, an eyelash serum, that can also be used on your eyebrow, hair, and skin. It’s extracted from Palma Christi Plant that hydrates your eyelashes and moisturises it. Vitamin E, minerals, and protein go into this oil that seeps into your skin and strengthens your lashes from within. There aren’t any chemicals present in it which makes it safe for application. It also comes with two brushes so that you can apply without any complications for thicker, fuller, and stronger eyelashes. Looks more like an eyeliner, doesn’t it? Well, it is primarily an eyeliner. But it also doubles up as an eyelash serum. This Japanese formula is smudge and water resistant. It comes with a fine brush applicator that is helpful in defining lines. 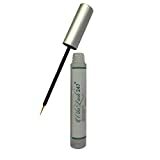 Approved by dermatologists, this eyelash liner(serum) is free of parabens, fragrance, and is hypoallergenic. In short, it’s totally safe to be applied on your eyelashes. Alayna Natural has come up with this 3.5 ml of eyelash serum in a nifty bottle for those having sparse eyelashes due to ageing, exposure to chemicals, physical damage, and over-plucking. It contains a blend of vitamins and minerals that condition the hair follicles to strengthen and nourish eyelashes. Applying this serum overnight is known to increase eyelash volume and also rejuvenate glow and colour. Simply Dana has simply come up with a magnificent eyelash serum. It contains a potent peptide blended with grape stem cell extract which conditions the eyelashes and promotes healthy growth. The peptide targets the skin cells out of which eyelash follicles emerge. Simply put, the foundation comprising of the cells are strengthened. This helps in the emergence of new and healthy eyelashes. You can bet your eyelashes to look healthier, fuller, and maintain their natural colour with repeated use of this serum. 247Longer and fuller lashes are guaranteed with the Vita Lash It’s been specially formulated on the specifics of an esthetician for spa clients. So, you can say that your eyelashes will get a spa treatment with this serum. Vitamins, amino acids, peptides, and clinically-proven minerals form the base for this serum. The result when applied? Added length and thickness. Over-plucked eyelashes, patchy and sparse, are destined to benefit in as little as 30 days with this serum. The eyelash enhancer serum by Toullugo is known to boost eyelash thickness and volume. 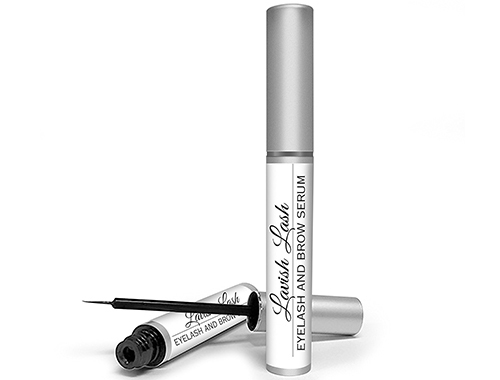 It’s composed of botanical ingredients that don’t just work on eyelashes, but eyebrows too. It imparts shine to your lashes whilst improving their curl. You’ll have to apply 2-3 bottles of this serum to see positive effects in as little as 15 days. In 3-4 weeks time, increase in length, volume, and shine will be fairly evident. Six to eight weeks; that’s how long it’ll take to repair and return your eyelashes to full health. Toullugo deserves to be in the top four again because your eyelashes will definitely regain shine and volume with continued use. Feel confident and content with your healthy eyelashes by using this serum. It combines natural ingredients to impart thickness and colour to your eyelash strands. Lavish Lash Eyelash and Brow Serum by Hairgenics might not be first on this list but comes incredibly close because of the results it produces. It’s derived from botanical ingredients that add shine and lustre to eyelashes. In truth, they penetrate the follicles to fortify eyelashes and stimulate growth. This product should be included in your daily beauty regimen as it’s hypoallergenic and has never been tested on animals. What’s great about this product is that both women and men can use it to heal and grow eyelashes. It consists of a proprietary compound that acts on the skin cells, thereby allowing eyelash follicles to emerge healthy and strong. The serum also houses grape stem cell seed extract that fights UV radiation in order to protect skin stem cells. As a result of the cellular-level protection and nurturing, your eyelashes are completely protected and cared for even before they start sprouting.